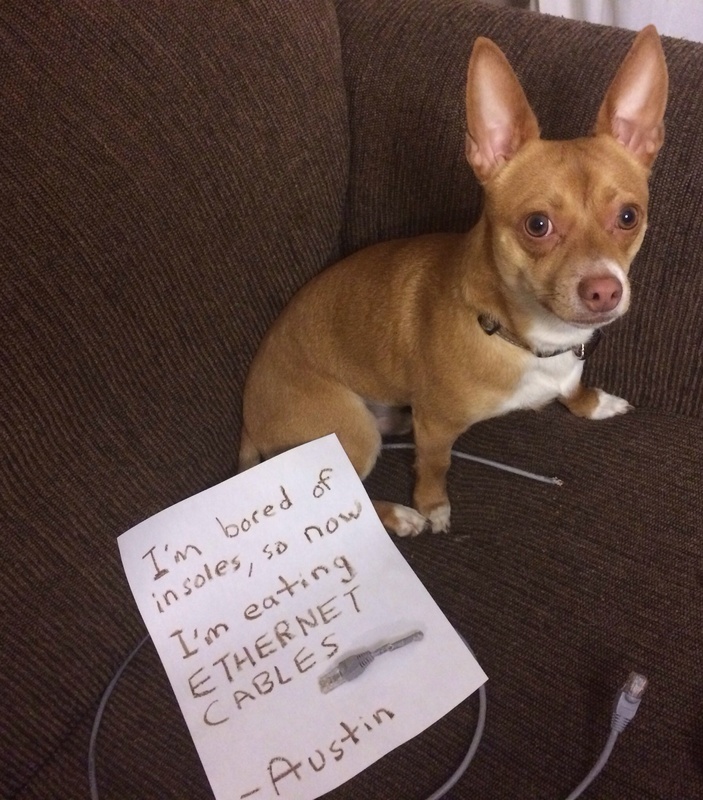 I was convinced that my Chihuahua mix, Austin, would leave wires alone while I was at work, but he proved me otherwise. So cute…I love the white toes! He does not look sorry….he looks indignant at being shamed, however he sure is cute. How fast of a connection does he get? With ears like those, he must get great TV reception !